Battery life of 48 hours based on 10 audio activations while in power save (PEEP) mode. Battery lasts an average of 6 hours with continuous audio/video usage. Optimum range is 150 feet when signal is passing through walls or floors. Microwave ovens (when in use) may cause signal disruption at close range. Buildings with metal frames may also cause signal disruption. Maximum transmission range is 500 feet. This product does not replace responsible adult supervision. 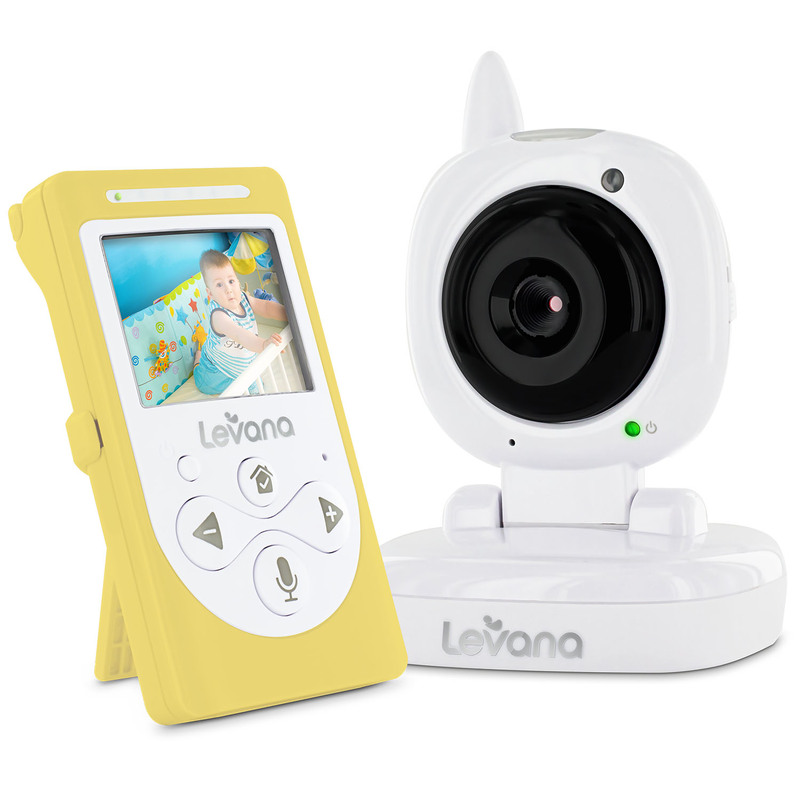 Check your child’s safety at regular intervals and make sure your monitor is always adequately charged. ©2014 LEVANA®. All rights reserved. LEVANA®, the LEVANA® logo, Sophia™ and other LEVANA® marks may be registered. All other Trademarks are the property of their respective owners.